"There are different versions of me in the world… I think someone's trying to kill me." Gravitas Ventures has released their official trailer for an indie sci-fi film titled 7 Splinters in Time, a new feature made by Gabriel Judet-Weinshel (The Broken Wings of Elijah Footfalls). This very odd, peculiar sci-fi film is a neo-noir about a detective who investigates a murder, only to find that the victim is… himself. Soon, he discovers multiple versions of himself, not all of them friendly. How's that for a pitch? Alas, the film doesn't look as good as it sounds in that pitch. The cast includes Edoardo Ballerini as "Darius Lefaux", Emmanuelle Chriqui, Al Sapienza, and Austin Pendleton. I'm curious about this just because I'm always interested in original sci-fi projects, but I don't have a good feeling about it from the footage here. Check it out below. Detective Darius Lefaux is called to identify a body that is identical to him. As he dives into the harrowing case, different versions of himself begin to emerge and haunting memories of lives not lived fill his mind. Darius soon realizes that not all versions of himself are good and that he must find his other self, before it finds him. 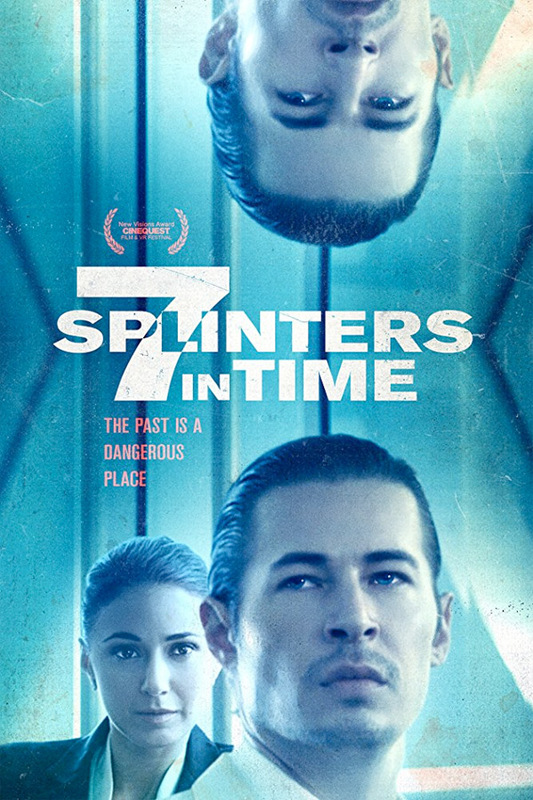 7 Splinters in Time is written and directed by American filmmaker Gabriel Judet-Weinshel (aka "Max Gabriel" - @wax_max), making his second feature after The Broken Wings of Elijah Footfalls as well as a number of short films. Max has also worked as a camera operator on various projects. Gravitas Ventures will release Judet-Weinshel's 7 Splinters in Time in select theaters + on VOD starting July 13th.